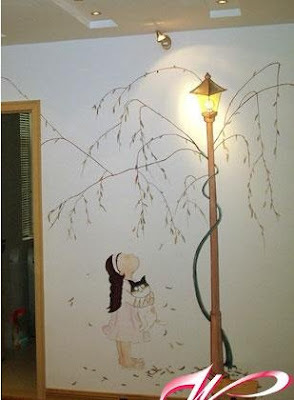 Featured with environment friendly, personalized characteristics, the hand paintings on wall become more and more popular and welcomed by people in nowadays, and have lead a new trend of home living fashion. I am the master of my space! This is my home, I’d like to print my own marks on! 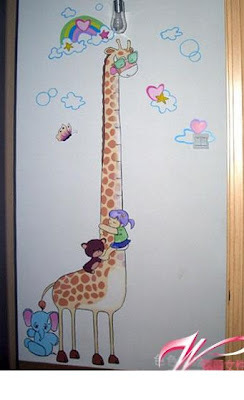 A cute giraffe drawn on the door of baby room, it not only a home decoration, but also a lifelike measure for your baby, as well as environment friendly and easy to be wiped away! This is ashok kumar. 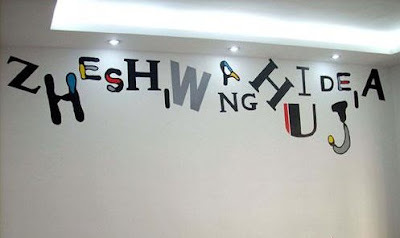 How much you spent to done these.